Promenade is located in the heart of the historical town of Florence, 40 meters far from Ponte Vecchio, between romantic streets and surrounded by elegant palaces, medieval towers, places with historical and cultural importance of the Rennaissance. From the main touristic attractions of the old town we mention : Uffizi Art Gallery, Pitti Palace, Boboli Gardens, the wonderful Signoria Market and Duomo, all these at only 1 - 20 minutes distance, by step in this zone full of craft shops and antiques. The single, double, triple and quadruple rooms have private bathroom, air conditioned, heating, LcdTV, Internet WiFi in the room, room service, daily cleaning, are very comfortable, classic and elegant, furnished in antic Florentine style, with a romantic note. 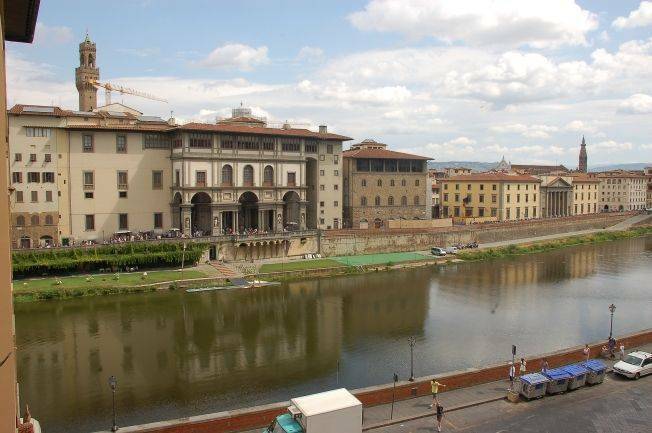 Some of the rooms have a splendid view to the Uffizi Art Gallery and river Arno. We organize trips to San Gimignano, Pisa, Siena, Cinque Terre and wine tastings in Chianti province. private bathroom, air conditioned, heating, LcdTV, Internet WiFi in te room, room service, minifridge, daily cleaning, free entrance in the night time with keys. 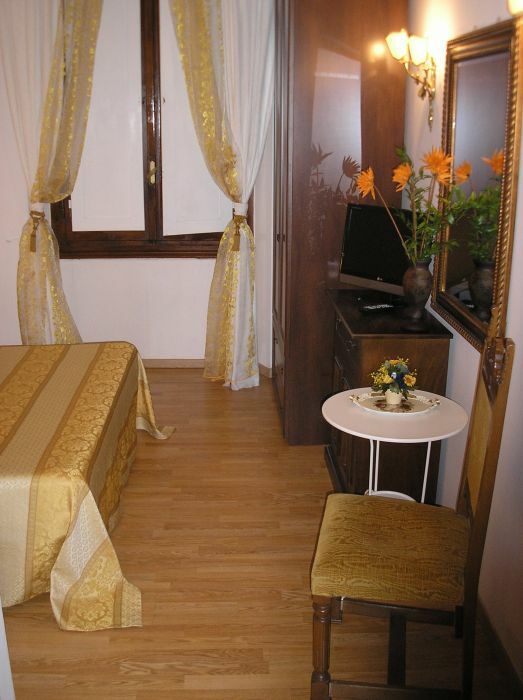 The rooms are large, comfortable, classic and elegant, furnished in antic Florentine style, with a romantic note. 5 rooms are double rooms, with large and comfortable king size beds. When necessary, we can easily transform them into a triple or quadruple ( with added beds ). One room has twin beds. 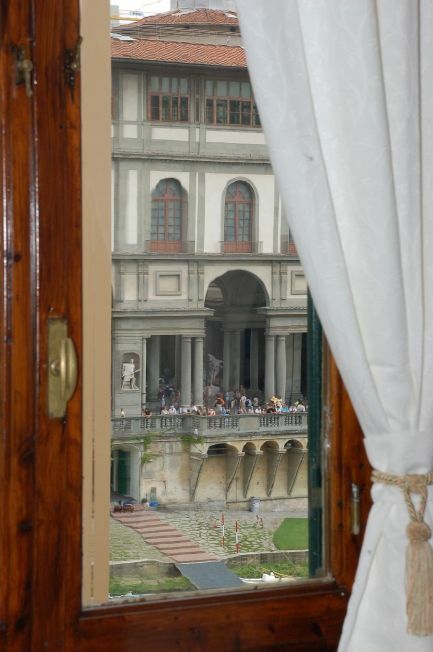 5 of the 7 rooms, have a splendid view to the river Arno and Uffizi Art Galleries. We are located at 40 meters far from Ponte Vecchio. Bus C, D or any bus which has a stop at Ponte Vecchio. Nearest airport: Peretola - 10 km.